Today’s announcement that Ford is introducing a new, extra-luxurious trim level to the 2016 F-150 shouldn’t come as much surprise. Ford makes around $10 billion every year just from the sale of $50,000-and-higher pickup trucks, and the average transaction price for the F-150 has been rising steadily since the introduction of the new 2015 Ford F-150 early last year. 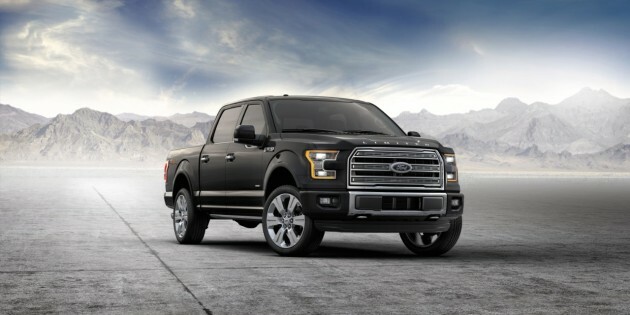 Introduced this morning in Newport Beach, California, the 2016 Ford F-150 Limited takes the concept of high-end pickup truck and launches it to a new level, adding a number of luxurious new features that will assuredly make it the top choice for astute clienteles. The 2016 Ford F-150 Limited comes standard with 22-inch polished aluminum wheels and LIMITED lettering on the hood just above an exclusive grille. The front fascia also gets a chrome front bumper with body-color end caps, and the rear features a satin-finished chrome badge and body-color bumper. Also distinguishing the F-150 Limited’s exterior from that of other models are satin-chrome door handles and chrome exhaust tip. The F-150 Limited will be available in four colors: Shadow Black, Magnetic, Blue Jeans, and White Platinum Metallic tri-coat. 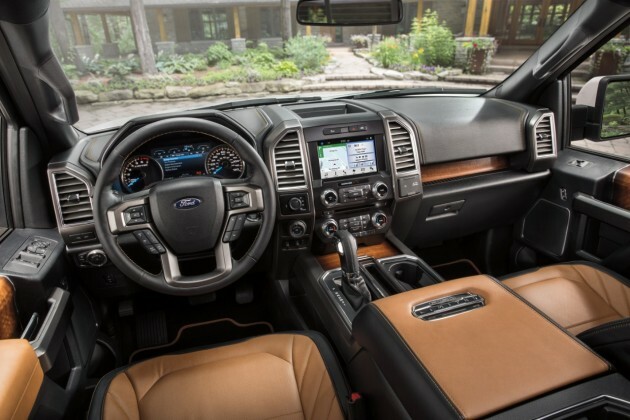 Also ensuring the high-luxury feel of the 2016 F-150 Limited is a litany of standard tech and safety features. These include BLIS® with cross-traffic alert, chrome front tow hooks (for the 4×4 model), panoramic vista roof, power-deployable running boards, quad-beam LED headlamps, remote start and tailgate release, and integrated trailer brake. Additional available features include lane-keeping system, 360-degree camera, and dynamic trailer hitch assist, all of which is included in a technology package. On the inside, the F-150 Limited will feature Mojave leather front seats with distinct badging, heating/cooling, and 10-way power adjustment and multi-contour massaging. A VIN plate will be included on the center console lid, and the distinctive feel will be bolstered by unique front and rear floor mats, instrument cluster fade, and unique accents and interior lighting. 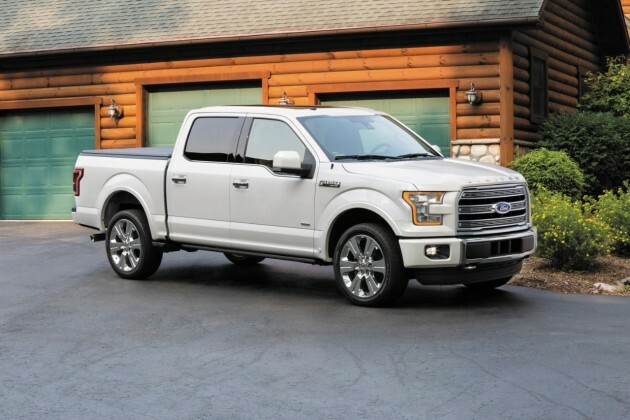 The 2016 F-150 Limited will be powered by the 3.5-liter EcoBosst® V6, which allows for a 10,100 max towing capacity and doles out 365 horsepower and 420 lb-ft of torque while returning 24 mpg highway. Ford has yet to announce a starting price for the Limited, but given the $51,585 starting MSRP for the Platinum trim, $55,000 and above seems like a fair bet.